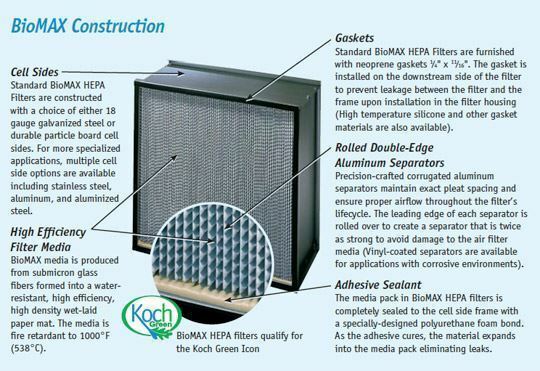 Standard construction BioMAX HEPA Filters are manufactured with galvanized steel cell sides (UL Class 1). Standard Capacity BioMAX Filters offer an excellent combination of high efficiency, factory tested performance, and economical initial purchase price. The filter is designed to operate under normal conditions, with the 12" deep model capable of maintaining a pressure drop of 1.0" w.g. at airflows up to 260 feet per minute. 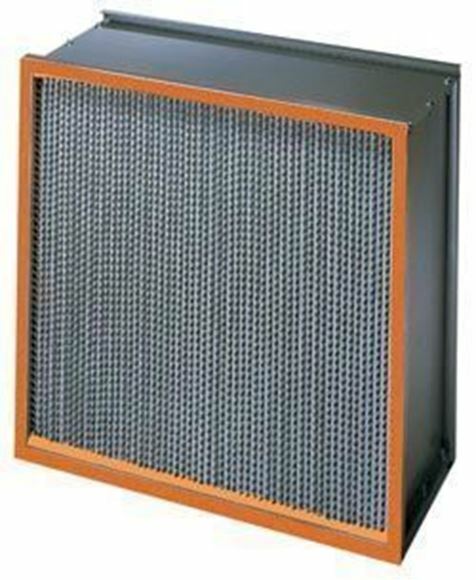 Standard Capacity BioMAX Filters are offered with wood or metal cell sides in efficiencies of 99.97%, 99.99%, and 99.999% on 0.3 micron particles. 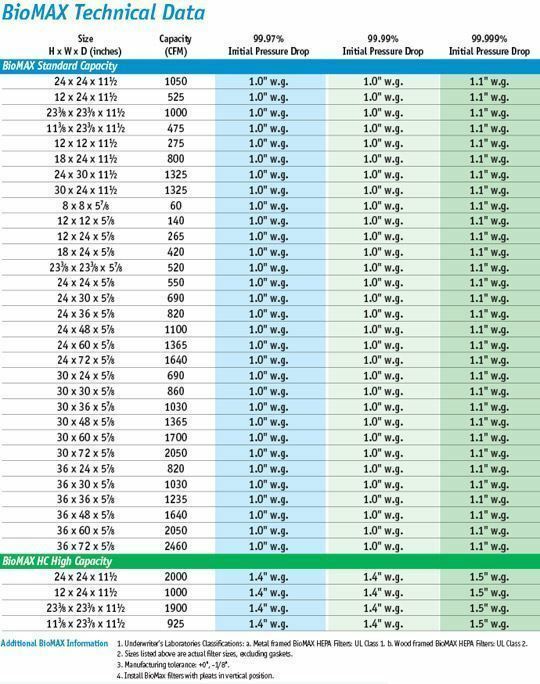 • Lower average pressure drop at equivalent airflows. • Can operate at higher airflows with only slight increase in resistance. • Extended media area means longer service life, fewer filter changes, and reduced maintenance and disposal costs. • Reduced space requirements for filter banks, fewer filters required. 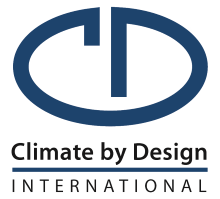 • Excellent choice for new systems and renovations of existing systems.